At the start of the school year in K3, kids will adjust to a new classroom, become familiar with new teachers and a new routine. Children who are coming to school for the very first time may cry as they separate from mums and dads. During the first few months we place an emphasis on independence. We want kids to feel comfortable coming to school and at the same time we challenge them to become a part of a cohesive class atmosphere. Once there is a semblance of cohesion we are able to start stretching the children's attention spans and garner their interests. 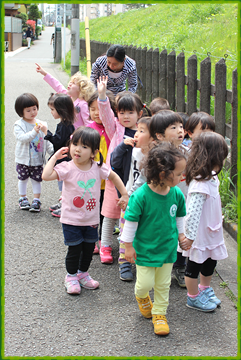 As children become more comfortable in K3 they start to make new friends, socialize more and learn to share. Children start to experiment on their own and in groups. At the same time in class we focus on challenging the children’s intellects. We encourage imaginative language expression using a phonics based approach; running an IPC based integrated method. 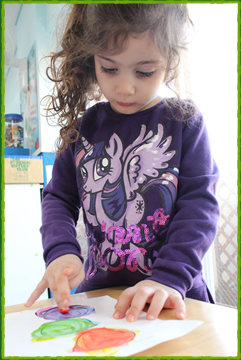 During this time in the classroom, children will further develop their fine motor skills with an ongoing variety of theme related art and craft activities. As time goes by, we start to see where each child’s natural abilities lie. 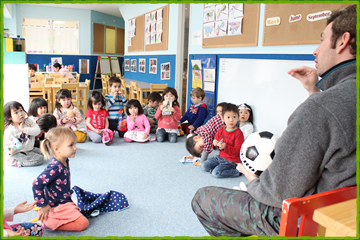 By the end of the school year, most K3 kids will be highly sociable, be able to express themselves well, know how to manage their own things and feel very comfortable at school. Children will have a lengthened attention span, be confident, be aware of the flow of each day, feel comfortable eating a variety of food, use scissors well, use colors, be able to cut, paste and write their own names. By the end of K3, children will also be able to count up to or beyond 20 and match numerals to their corresponding amounts. For non-native English speaking children, during this stage of the year we hear more complete sentences in English as the kids become more confident expressing themselves.